If you want to provide an example treatment, send the material to Urs Fischbacher. Demonstrates the use of the later command. 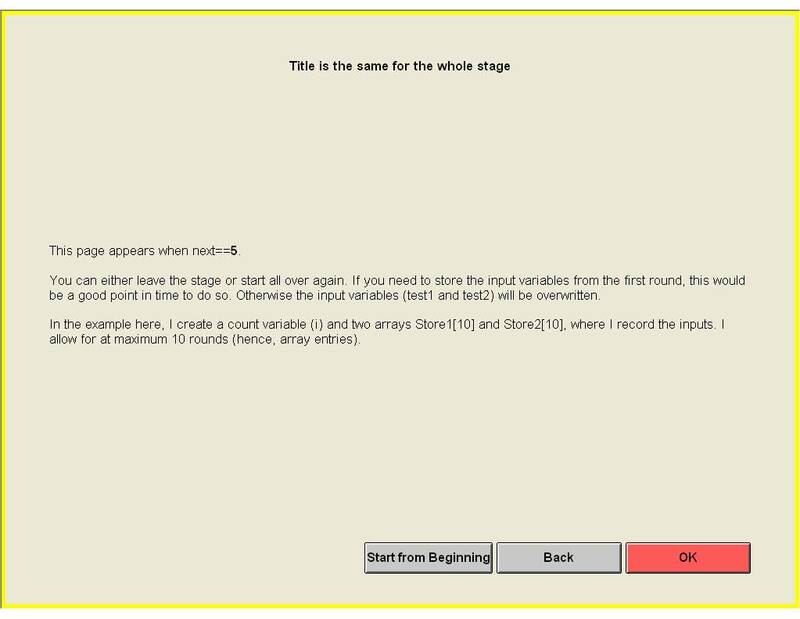 Demonstrates how participants can go back and forth within a stage using overlapping container boxes. This is a solution proposed by Urs Fischbacher for a problem that I once I had. I wanted to share it here. Demonstrates how to carry over amounts from one treatment to the next using an additional session table. Start treatment 1, insert numbers. Now start treatment 2, find the inserted numbers from treatment 1. Note the number of subjects is two. 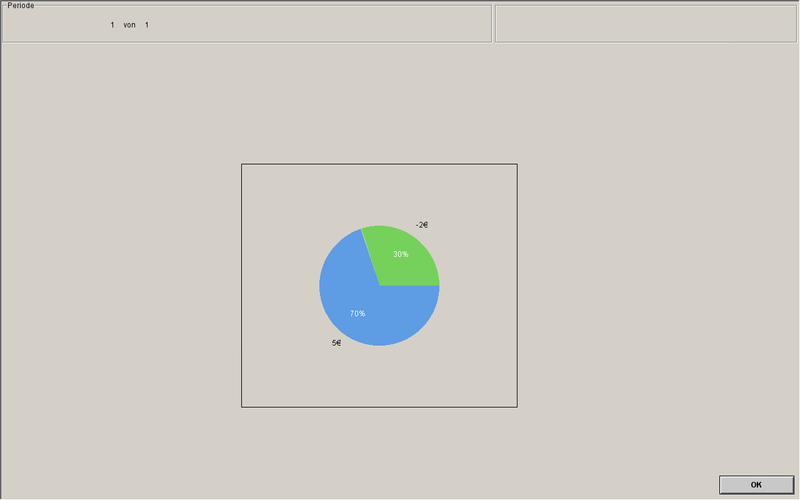 Demonstrates how to automatically arrange text in a pie chart by trigonometric calculations. 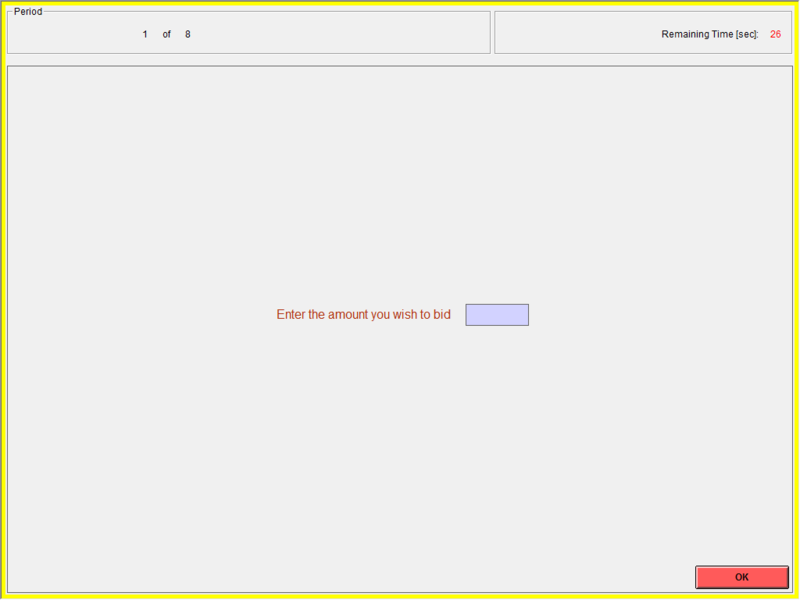 Demonstrates how to create an image counter by using later command and multimedia box. In many situations, you might wish to have stages in a treatment that are only done in the final period, and also to decide as the experiment is running which period will be the final one. In a voluntary-contributions treatment, for example, you may wish to announce that this is the final period, without committing yourself before the treatment begins to a particular number of periods. In the project that led me to write this simple treatment, it is not readily predictable how many periods I can run in a given time frame, yet I want to introduce one-time additional procedures for the final period. The treatment calls for the experimenter to login a zleaf window for her/himself AFTER all subjects are logged in. That window simply asks at the beginning of each period for the experimenter to click a box if this is to be the final period (else, do nothing). The question of how to put a set of options into a random order has come up a couple of times recently, so I thought I might contribute the method I have to this website.